Unless you are in the venture capital and private equity spaces, you may be unfamiliar with the term and process called due diligence. So, here’s a quick and very simplified explanation: Due diligence is how an investor assesses the viability of a company seeking capital. What is being evaluated are both its business fundamentals and financials. In short, the investor is evaluating whether investing his or her money is a risk worth taking. Due diligence is an integral part of the pitch process. Since you know me a little bit, it won’t surprise you to know that during the panel I drew a parallel between a founder raising capital and an investor providing said and dating and marriage. I mean, really, isn’t the pitch process how you’d describe dating?! Especially since you typically go out on quite a few dates, with different people, before you connect with the one that is right for you. In case it helps in following along with my logic, I want you to visualize two Venn diagrams: one where the interlocking circles represent you, your partner (or desired partner), and money; the other where the interlocking circles represent the founder, investor/s, and money. In both scenarios, where all three circles overlap is where things get juicy. In both scenarios, the overlap is where you’re measuring compatibility through the lens of risk tolerance, habits, and goals. In both scenarios, the overlap is where uncomfortable questions are sometimes asked and awkward answers are sometimes given. The converging circles represent overlapping relationships and is why the connections don’t just stop once the relationship shifts from pitching/dating to a commitment (in the form of an investor or marriage). Yes, there are some couples that are financially in sync from day one. They have a similar approach to money management; share the same financial values; are on the same page regarding savings and spending habits; and talk freely and openly about money. And then, there’s everyone else. For folks in the latter camp, money is one of the leading causes of stress in a relationship. When disagreements and disappointments emerge due to “money,” the disconnect isn’t really about money. It’s a disconnect regarding, mainly, three things: risk tolerance, habits, and goals. 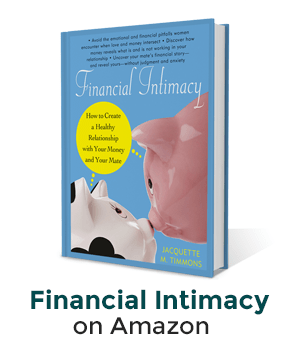 This is what makes many aspects of money sneaky – in business and romance. It will cause you to believe one thing is happening (usually what you can easily see or feel on the surface), when something else entirely is at play (usually beneath the surface and invisible). Investors are in the business of taking risks. But because they know not every company in which they invest will be a success, they create guardrails. These are intended to minimize their losses and to maximize their gains – aka a positive return on investment. It is one of the reasons they want to know what a founder’s intention (or use of proceeds) will be once they have in hand the money they seek. Founders take a risk, too. By the time they are seeking outside capital, they usually have already put everything on the line to launch and grow a business. That’s a risk! As is choosing to give up some of their ownership by bringing on outside investors in exchange for the cash needed to take their venture to the next level. Even though they don’t always get it right and sometimes ignore red flags along the way, investors and founders are pretty much attuned to their risk profile. Some couples could benefit from having a greater self-awareness about their risk profile, too. It’ll go a long way in learning how to manage differing risk thresholds. How? Start by determining if you are you a risk-taker or risk-averse, and defining what is a “risk” to you? It helps to know if you are in the, “I don’t want to lose any money” or “I don’t want to lose out on the potential possibility” camp. It helps to know if this varies depending upon the circumstance. And if your romantic partner has a different risk profile than you, it helps to understand the underlying reason for why you both are the way you are. Track anyone’s habits and a pattern of behavior emerges. Patterns related to how decisions are made; what trade-offs are preferred; how mistakes are corrected; and how opportunities are identified. In business and romance, when things begin to go sideways, it useful to pause a moment so that you can evaluate the habits that led to this point in time so that you can figure out how to adjust accordingly. Goals are like a lighthouse. From far off in the distance, they beckon you without limiting you to just one way to get from where you are to where you want to be – aka where the goal is. In the founder/investor example, one goal for the founder is to build and grow a viable and sustainable business that they may want to sell or take public in the future. For the investor, one goal is to earn a (significant) return on their investment. For couples, the goal can range from saving more, building wealth through investments, living a particular lifestyle, getting out of debt, going from a two-income household to one (without sacrificing too much), etc. In either domain, your risk tolerance and habits greatly influence if you achieve your goals. They also have an impact on how you experience the process of doing so. The process of getting to know another person is like a synchronized dance. Especially when money becomes a part of the equation. This is true in business and romantic relationships. And at first blush, it may seem odd to draw a parallel between money and business and money and romance. But by focusing on what these domains have in common, it makes it even easier to see that money is never just about money…in business and in love. Where money is concerned, the dynamic that is evident in the founder/investor relationship is also present in romantic relationships. The specific details of how the money challenges emerge; how they are handled; and how they are experienced by all parties, along with what is at stake may be different, but the money challenges stem from the same source of disconnect. Money may be what alerts you to something being amiss, but always remember that money is just the trigger. It is trying to get you to pay attention to something that is deeper. And on that note, whether you’re single or coupled up…Have a Very Happy Valentine’s Day!